Are you fascinated with history? 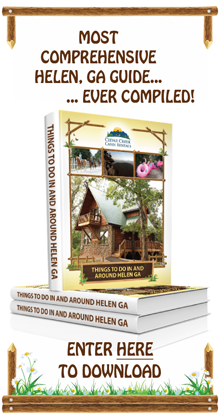 If so, then there is one of the many Helen GA attractions, that is sure to satisfy you. With a visit to the Stovall Mill Covered Bridge you can take a step back in time, to when life ran at a slower more simpler pace. This covered bridge is full of history and surrounded by picturesque countryside, making it a great getaway spot for the entire family. Pack your camera and come take a tour of this intriguing site. Located in Northern Georgia, this old fashioned covered bridge stretches 36.87 feet across the rippling waters of Chickamauga Creek. The area has a long history, dating all the way back to the late 1800's. At that time, Fred Dover used the land to house a mill complex which produced shingle, saw and grist. The placing of the mill was carefully thought out, as the mill was powered by a water turbine. In order to make the mill more accessible, Fred Dover also constructed a covered bridge to cross over the width of the river. For many years, this bridge also served as an important link between Cleveland and Clayton Road, before the road was moved. Unfortunately, the bridge did not last long, as it was swept away in the early 1890s. Then, in 1895 a new bridge was built in it's place by Will Pardue. The mill complex was sold to Fred Stovall in 1917, giving it the name Stovall Mill. Although the dam and the mill were both washed away in 1964, the bridge still remains. When you come to the area, you can imagine a life long ago, where people travelled through the covered bridge on their way to and from the mill. Today, the bridge is not only a tourist attraction, it has also been made famous. The bridge was showcased in "I'd Climb the Highest Mountain", a movie produced in 1951 starring Rory Calhoun and Susan Heyeard. Additionally, as with many historical sites, the bridge is said to be haunted. Stand there at night and the rumor is, you may hear the sound of horse-drawn carriages passing by. The area surrounding the bridge is ideal for spending time with the family. You can have a nice picnic and watch the kids play in the water of the Chickamauga Creek, or take off your shoes and join them. Dip your feet in the water or take a few minutes to wade under the bridge itself. The river is typically calm and is lined with large rocks and trees. You can also walk throughout the forest and enjoy the sound of nature and possibly see a bit of wildlife up close. To make the most of your visit, you may want to pack a few healthy snacks, water, sunscreen and a good pair of water shoes. With the many nearby Helen GA attractions, you can easily make your visit to the bridge a whole day trip. 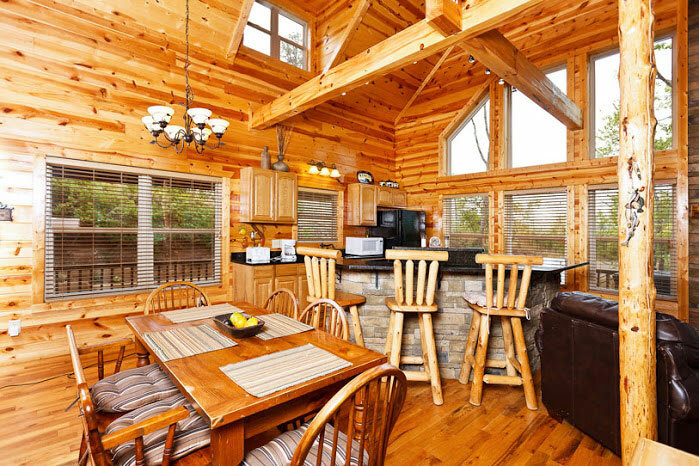 Drive into Helen and tour the german-style shops, take a walk on the many hiking trails at Unicoi State Park or grab a bite to eat along the Chattahoochee River. Heading out to visit Helen GA attractions is terrific anytime of year. Each season is beautiful, offering it's own unique characteristics and weather patterns. However, if you are looking to stay dry and comfortable during your trip, October is the best month of all. It is the driest month of the year and the temperatures are pleasant in the mid 70s. Plus, if you are a thrill seeker, Halloween is right around the corner. What better time than now, to test out the rumors of a haunted bridge? The Stovall Mill Covered Bridge is only 7 miles from Helen, GA. If driving from Cedar Creek Cabins you should be able to get there within 15 minutes. Upon exiting Cedar Creek, follow Zeppelin Strasse southwest and make a left onto Brucken Strasse. Then, once you reach Edelweiss make another left. This will lead you to GA State Route 75. From there, turn left and continue on GA 75 until you reach GA State Route 17. Make a left and follow Route 17 until it splits off at Highway 255. Make a left onto Highway 255 which will lead you directly to the bridge. You will know that you are getting close when you see the Stovall House Inn. Come to Helen to experience history, beauty and to enjoy some fun family bonding time. With the many Helen GA attractions to see, be sure to not miss this one. 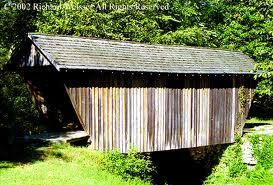 Have you been through a covered bridge before?